It’s here! Spring is finally here! Are you as excited as me? 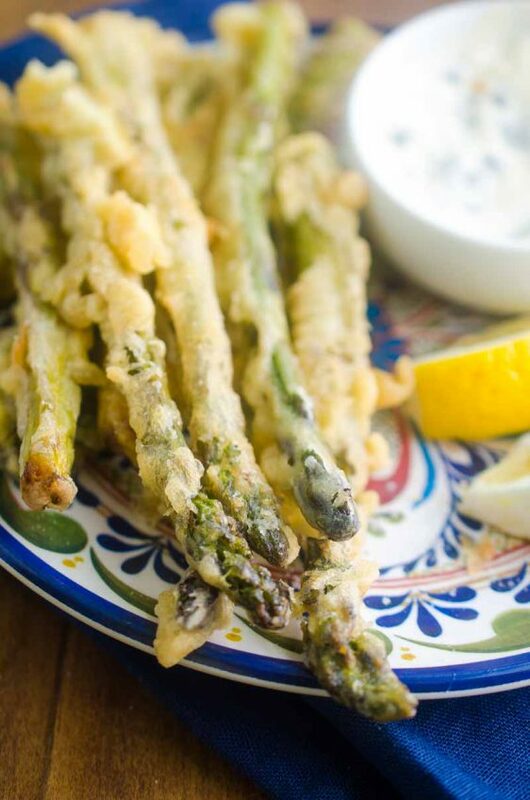 One of my favorite parts of spring is asparagus. I love the stuff. I love it cooked simply and lightly seasoned and in pastas. 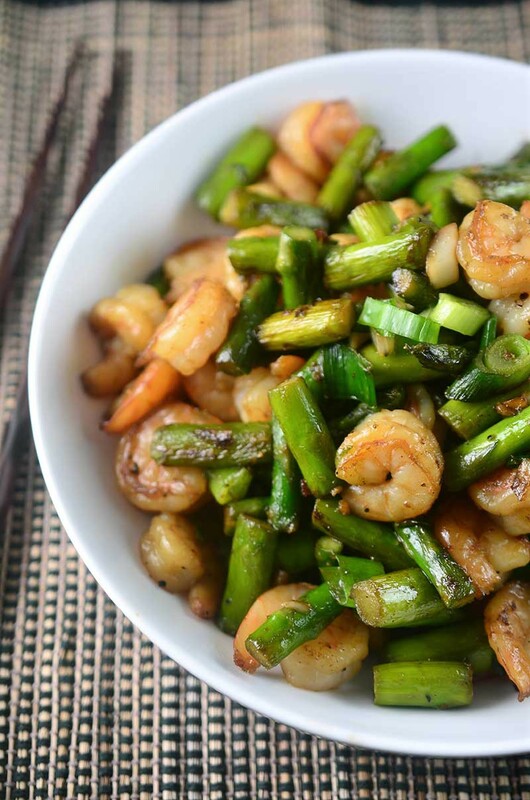 I love it in salads and I am head over heels in love with it in this shrimp and asparagus stir fry. It’s crisp, savory and oh so perfect. My little guys are asparagus lovers too. I always give them a choice about the vegetables that we pick up at the grocery store and as soon as spring rolls around, asparagus makes it’s way into our cart every shopping trip. Ryan, however, is not the biggest fan so I am always looking for ways to change that. I think I hit the nail on the head with this one, friends. 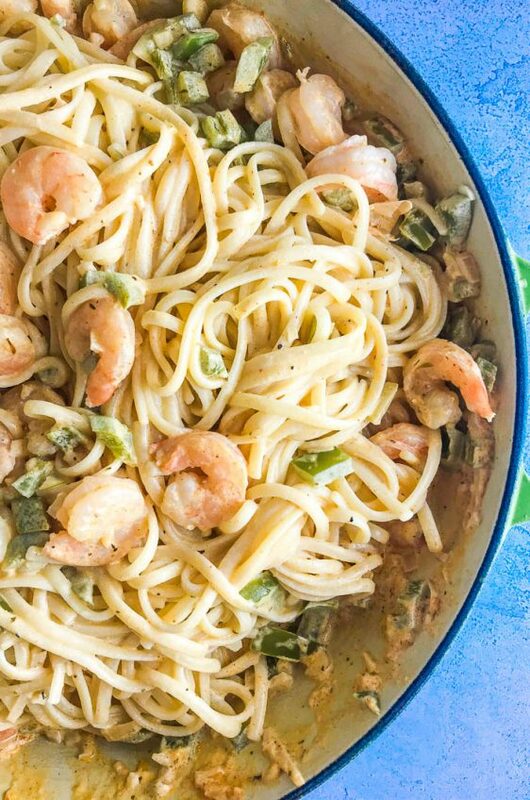 This Shrimp and Asparagus Stir Fry was a total winner. For the whole family. The boys loved it, Ryan loved it and so did I. Not only is it one of my new favorites because it’s delicious, it is also one of my new favorites because it comes together really quickly. If you buy the shrimp already peeled and deveined then this whole meal will take about 15 minutes to put together. 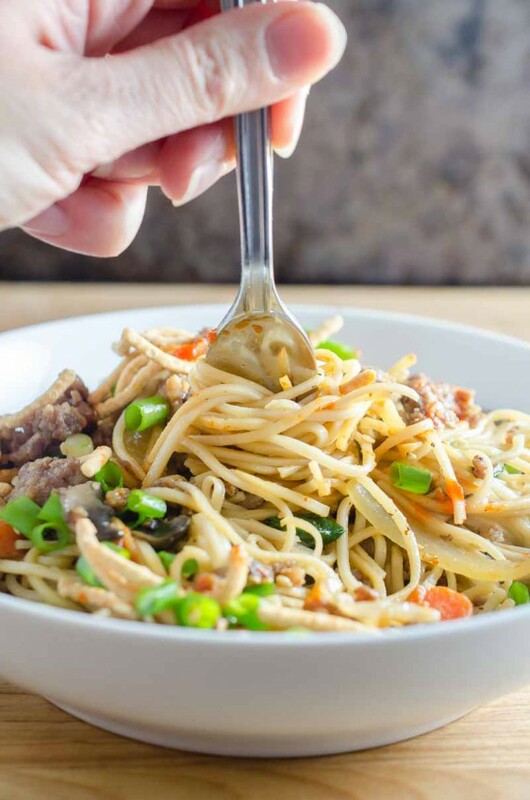 Making it the perfect meal for a busy weeknight dinner. I did quite a bit of taste testing while I was making this dish and really considered serving it on it’s own. However, for my boys, I wanted something a little more hearty. The first time I served it over some quinoa and the second time I served it over some jasmine rice. Both were great options and don’t add much more time to the cooking. 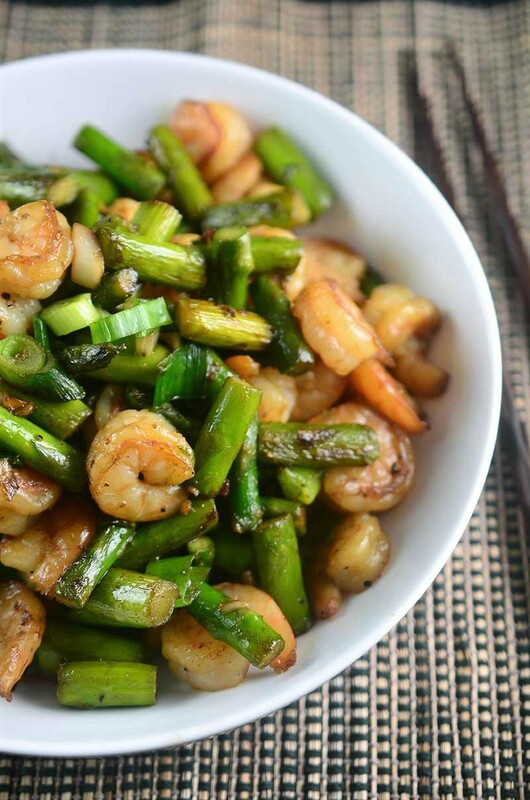 Whatever you decide to do, make sure that this Shrimp and Asparagus Stir Fry is on your menu this spring! 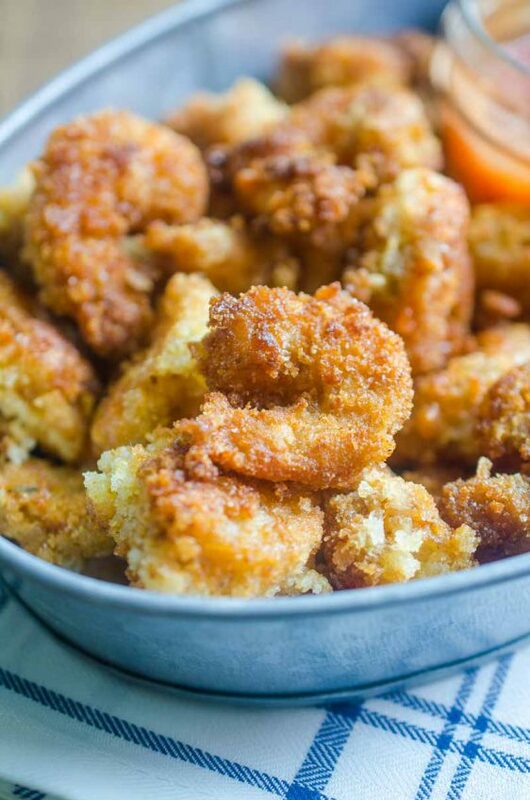 Combine shrimp, cornstarch, salt, pepper and granulated garlic. Toss to coat. Heat avocado and sesame oil in a wok or large skillet over medium high heat. Once hot cook shrimp until pink and cooked through. Transfer to a plate and set aside. Add the asparagus to the wok and cook just until it starts to soften, about 3 minutes. Return shrimp the the pan, add in garlic, ponzu and green onions. Cook, stirring frequently, just until the garlic becomes fragrant, about 30 seconds. Remove from heat, season to taste with salt and pepper. Serve immediately. This is a great looking dish. I always have a bag of shrimp in my freezer, we eat it all the time. 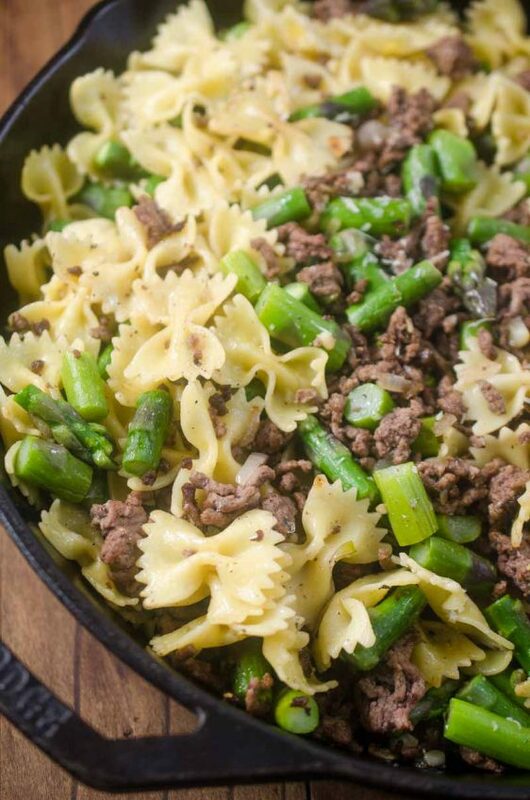 I’m bookmarking this recipe to make soon, I’m sure my family would love it! 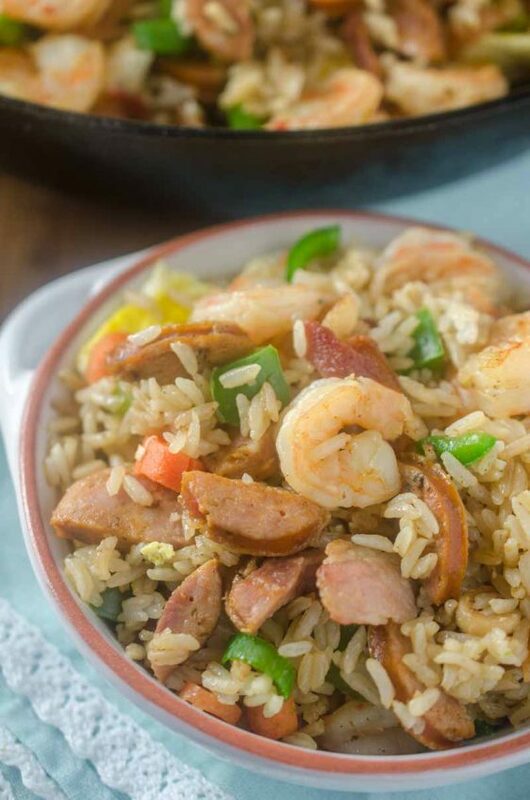 We eat a TON of shrimp at our house, need to try this stir-fry next time. Perfect for busy nights!